Bacon-infused bourbon (here's how to make it) has officially made the leap from curious novelty to full-blown bar necessity: In a mixing glass combine 2 ounces bacon-infused bourbon, 1 tsp local honey, and a splash of sour mix or fresh lemon juice. Stir ingredients with ice and strain into a rocks glass filled with ice. Garnish with an orange wedge and, if you want, a crispy strip of heavily smoked country bacon. In New York, bartenders spike Bloody Marys with clam juice and oysters. In Alaska, they use smoked-salmon vodka — the combination is much better than it sounds. 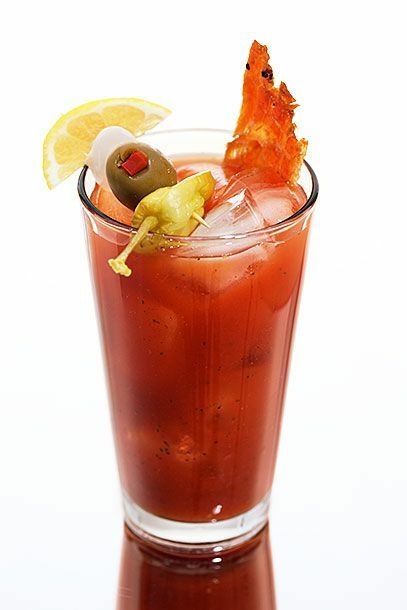 Here's just one example: In a pint glass, combine 1 1/2 ounces smoked-salmon vodka, 4 dashes each Tabasco, Worcestershire sauce, and celery salt, 2 dashes each onion powder and garlic powder, and 8 ounces tomato juice. Add ice to chill, and garnish as Kito's Kave does: a cocktail onion, pepperoncino, lemon wedge, green olive, and a stick of salmon jerky. The bar combines Italian amaro with Mexican mezcal for a Spaghetti Western-style cocktail softened by fresh strawberry: Muddle 1 strawberry in a shaker. Add 1 ounce mezcal (Crudo uses Sombra), 1 ounce Luxardo Abano amaro, 3/4 ounce lime juice, and 3/4 ounce simple syrup. Strain through a sieve or tea strainer into a chilled coupe glass. Add 3 to 4 sprays lavender tincture to the top of the cocktail and more lavender petals. Garnish with a strawberry slice. Steep a few stalks of lemongrass in simple syrup while you make it for this gentle nightender's secret ingredient: In a shaker, combine 1 1/4 ounces añejo tequila (Theo's uses Chinaco), 3/4 ounce Amaro Montenegro, 1 ounce each lime juice and fresh orange juice, 2 dashes orange bitters, and lemongrass-infused simple syrup to taste. Shake with ice and strain into a chilled rocks glass filled with fresh ice. Top with soda water and garnish with an orange twist and a lime wedge. This drink, like many at the new Trick Dog, is clean, modern, and deceptively complex, while still seeming like a three-ingredient throwback: In a shaker, combine 1 1/2 ounces joven mezcal (Trick Dog uses Almas La Puritita Verda mezcal), 3/4 ounces dry vermouth (Trick Dog uses Dolin Blanc), 1/2 ounce creme de menthe (Trick Dog gets theirs from Tempus Fugit), and 6 drops Angelica root tincture. Shake with ice and strain into a chilled coupe. The drink will pour opaque white and settle into transparency. Sean Kenyon's Denver speakeasy has won lots of praise since opening in 2012. 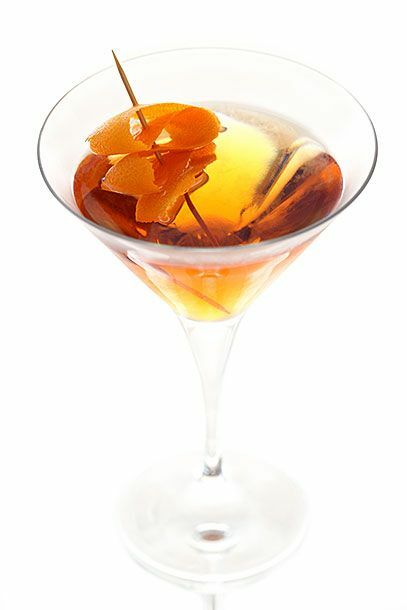 The cocktails show off finesse that transcends the speakeasy vibe: Combine 1 1/2 cups dried cranberries, 4 peels 2-inch peels of orange, and 1 bottle of Ransom Old Tom Gin. Let mixture infuse for 1 hour then strain back into an empty bottle. 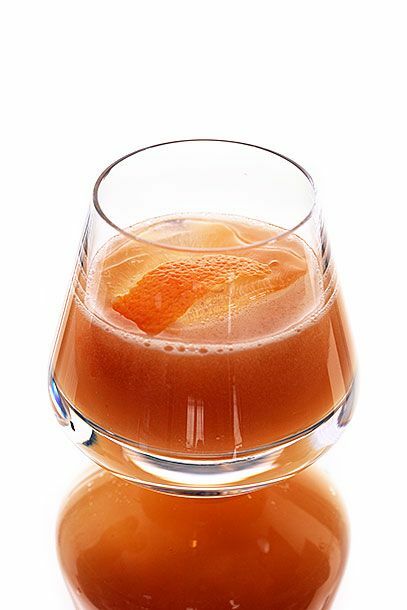 To make the drink, combine in a shaker 2 ounces of the cranberry-infused gin, 1/2 ounce Pedro Ximenez sherry, and 1/2 ounce fresh orange juice. Shake with ice and strain into a chilled martini glass. 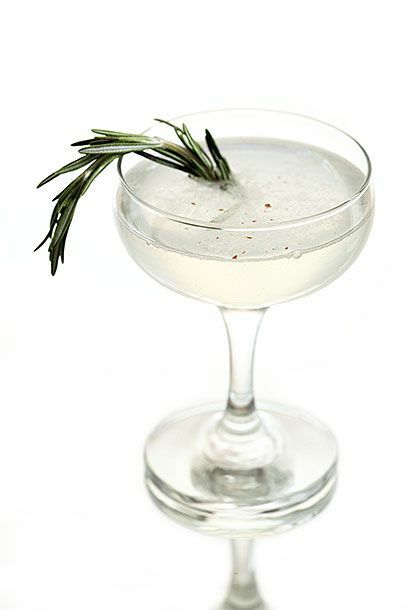 Garnish with a sprig of rosemary. 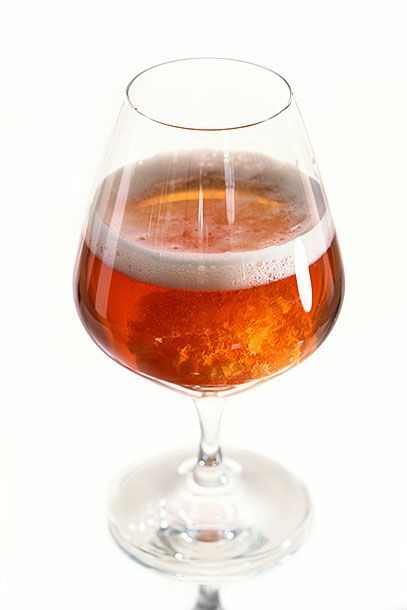 The drink gets its name from the inclusion of beer, bourbon, and bee-made honeycomb: Add 1 ounce honey-flavored whiskey to a snifter glass, and pour in 6 ounces of IPA (Harlan Social uses Goose Island). Drop in a chunk of honeycomb and drink while it's still foamy. Chef Hari Cameron makes the intricate drinks at a(MUSE.). For this, he creates sassafras-smoked ice cubes and his own bitters and grenadine, but you can substitute store-bought if you'd like: In a cocktail shaker, combine 2 2/3 ounces bourbon (Cameron uses Bulleit), 1 1/2 ounce apple cider, 1/2 ounce homemade grenadine, 1/4 ounce cider vinegar, and 4 dashes sassafras bitters. Shake with ice and strain into a chilled rocks glass or coupe. 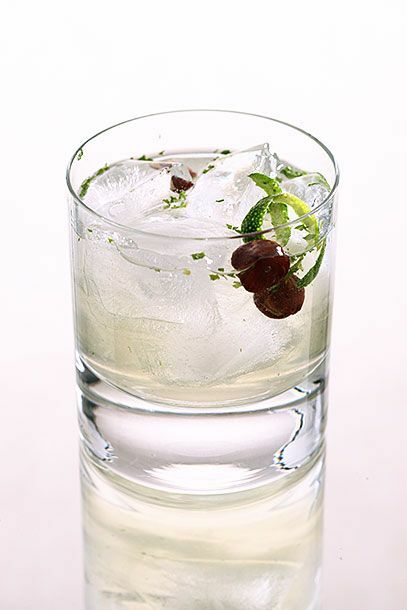 Garnish with a brandied cherry, lemon twist, and sassafras leaf if desired. The Dutch's Florida outpost specializes in tropical drinks. Add slices of fresh peeled ginger while you make your simple syrup to infuse the flavor: In a Collins glass, combine 1 1/2 ounce bourbon (the Dutch uses Buffalo Trace), 1/2 ounce yellow Chartreuse, and 3/4 ounce each lemon juice and ginger-infused simple syrup. Fill the glass with crushed ice and swizzle stick to mix until glass is chilled and frosty. Garnish with lemon slices, mint, or edible flowers. 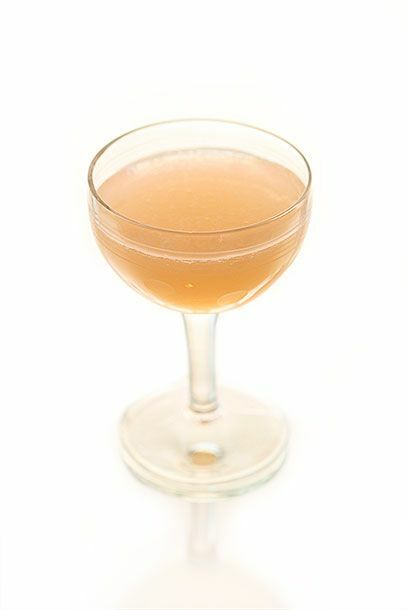 Top with a few dashes of angostura bitters and serve with a straw. Owner Jerry Slater combines the Walking Dead with tiki culture in this Zombie riff: In a shaker combine 1/2 ounce each Denizen white rum, Flor de Caña 7-year rum, Lemon Hart 151, joven mezcal, 1840 Pierre Ferand cognac, Marie Brizzard Apry, Velvet Falernum, and orgeat. Add 1 ounce lime juice and 2 dashes Angostura bitters. Shake with ice and strain into a Collins glass or Zombie cup filled with ice. Float 1/2 ounce good grenadine over the top and let it float down, like blood. The restaurant carbonates their version in a keg overnight, but this home version ups the booze so you can just carbonate with sparkling water: In a shaker, combine 1 ounce Rhum J.M. 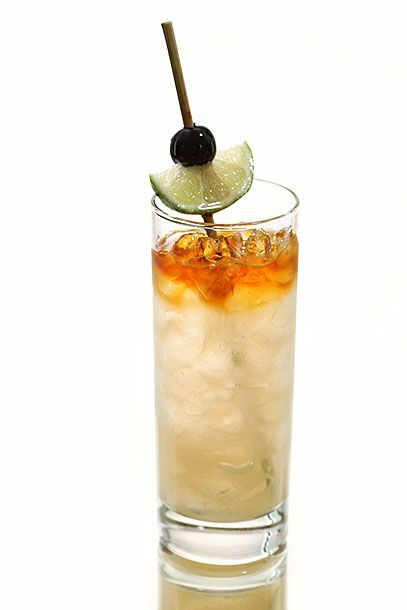 Blanc, 1 1/2 ounce Appleton Estate rum, 1/2 ounce Pierre Ferrand dry orange curaçao, 1/2 ounce lime juice, 1/2 ounce orgeat, and 2 dashes Hawaii Bitters Company Tahitian Lime bitters. 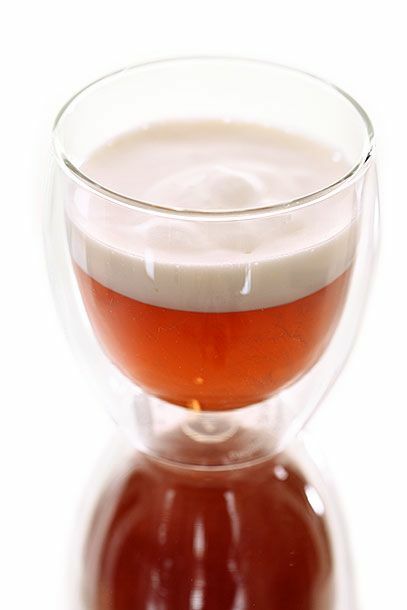 Shake with ice and strain into a short pint glass or 14-ounce tulip glass filled with crushed ice. 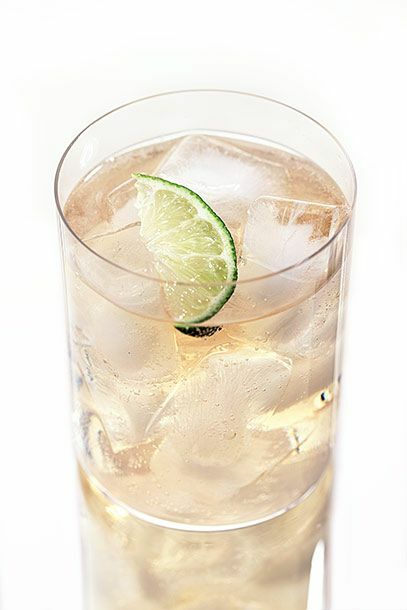 Top with soda water (lime flavored San Pellegrino works well, too), and finish by floating 1 ounce Cruzan Black Strap rum on top. Garnish with a lime wedge and brandied cherry. Red Feather Lounge owner Kevin Kelpe (in the midst of remodeling his bar at the moment) uses homemade herb tea — get the recipe here — to make a light drink that's great for afternoon drinking: In a tall glass filled with ice, combine 1 1/4 ounce whiskey (Red Feather uses a Washington state wheat whiskey from Dry Fly), and 3 ounces chilled Idaho herb tea. Garnish with a slice of lemon and fresh herbs. 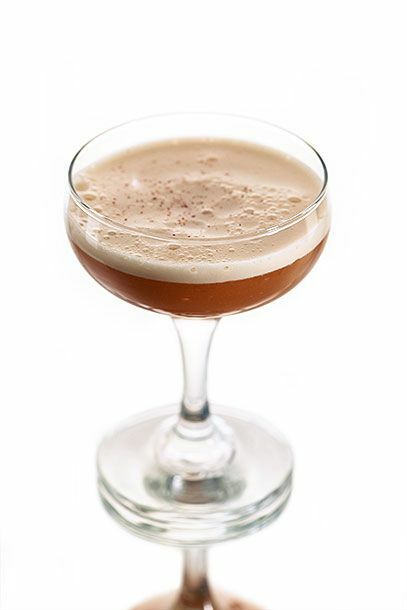 Matthew Lipsky uses a whole egg, instead of just the egg white, for a drink that's creamier and richer than most: In a shaker, combine 2 ounces aged rum (Lipsky uses Zafra 21-year, aged in bourbon barrels), 1 whole organic raw egg, 1/2 ounce Velvet Falernum, 2 ounces pressed apple juice (Lipsky suggest Simply Apple), and 2 dashes Angostura bitters. Shake all ingredients without ice until egg is emulsified. Add ice and shake hard again. Double strain through a sieve into a chilled rocks glass or coupe and garnish with freshly grated nutmeg. 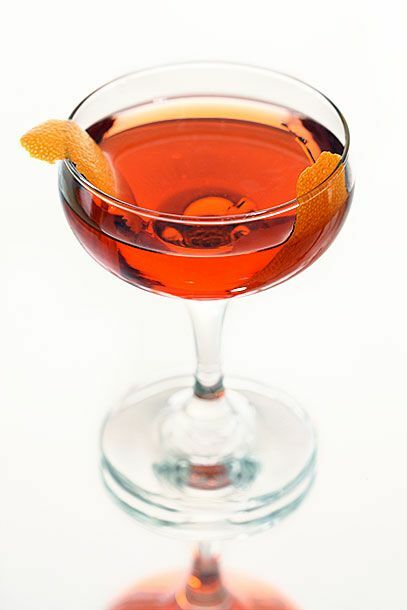 Devotay owner Kurt Friese uses blood-orange liqueur to give this Manhattan variation its nice amber hue: In a mixing glass combine 1 3/4 ounces rye (the bar uses Templeton), 1/2 ounce Thatcher's blood orange liqueur, 1/2 ounce sweet vermouth, and 2 dashes Angostura bitters. 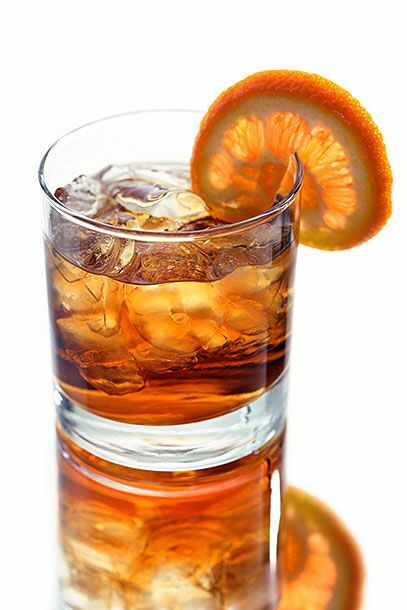 Stir with ice for 40 rotations and strain into a chilled old-fashioned glass. Garnish with an orange twist. Much better than an appletini, this simple drink gets an upgrade thanks to house-infused apple bourbon (which you can learn to make right here): In a shaker, combine 1 ounce apple-infused bourbon, and 1/2 ounce each lemon juice and simple syrup. Shake with ice and strain into a rocks glass filled with ice. Fill with soda water and garnish with a lemon twist. Of course you'll find a world-class bourbon drink in the state that's home to the country's best. 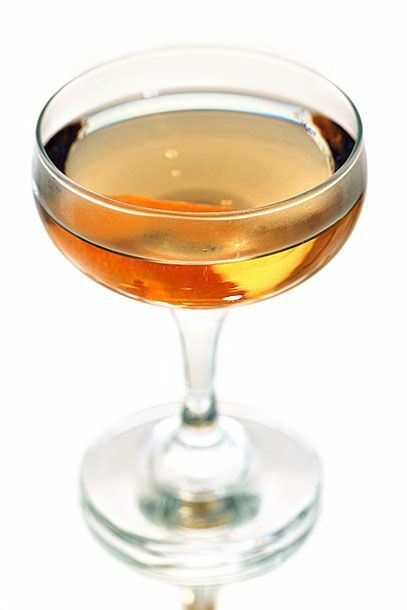 The orange cream citrate —an increasingly common ingredient at top bars — is like orange bitters, minus the bitter part: In a mixing glass, combine 3/4 ounce each bourbon (St. Charles Exchange uses Old Forester), Punt e Mes, Amaro Nonino, and St. Germain. Add 7 drops Bittermens Orange Cream Citrate. Stir with ice for 20 seconds and strain into a chilled cocktail coupe. Garnish with an orange twist. Cure says its drinks are "inspired by the historical period when cocktails grew out of medicine and home remedies." 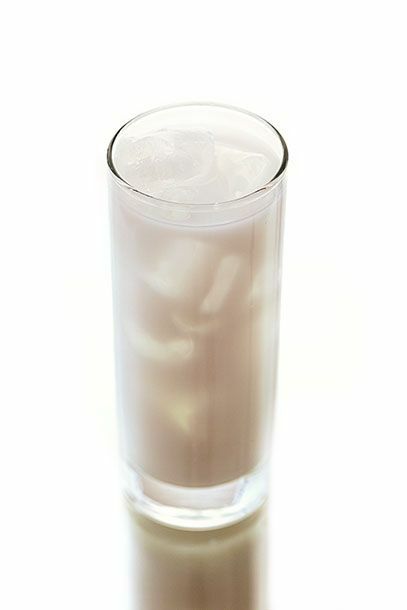 This strong drink might not actually cure you, but it will definitely make you feel good: In a mixing glass, combine 1 1/2 ounces blended Scotch (Cure uses Sheep Dip), 3/4 ounce each cream sherry and Maurin Quina, and 3 dashes Angostura bitters. Stir with ice and strain into a chilled coupe glass. Grace is housed in an old church and all the drinks have religious names. You'll want to steep slices of fresh ginger in your simple syrup for this drink: In a shaker combine 1 1/2 ounce vodka (Grace uses Cold River), 1/2 ounce Domaine de Canton ginger liqueur, 1/2 ounce Aperol, and the ginger syrup to taste. Shake with ice and strain into a chilled martini glass. Garnish with a piece of candied ginger. 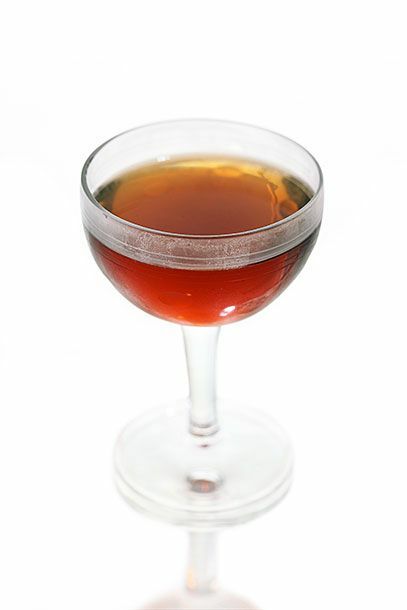 This Manhattan-esque drink gets legs from an interesting aperitif: In a mixing glass, combine 2 ounces rye (the bar uses Copper Fox), 3/4 ounces Maurin Quina, 3/4 ounces sweet vermouth (Rye uses Carpano Antica), and a dash of bitters (Abbott's, preferably). 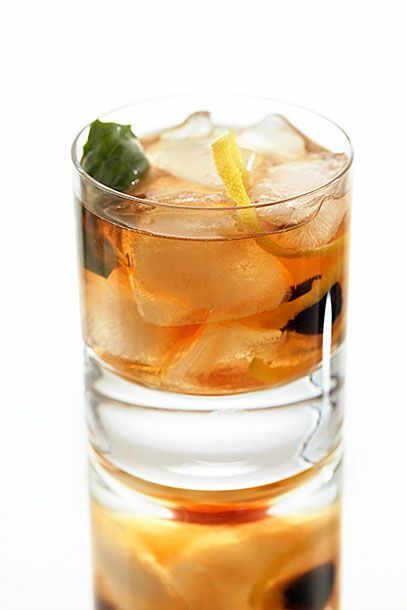 Stir with ice and strain into a chilled old-fashioned glass filled with a large ice cube. Serve with a swath of lemon peel. 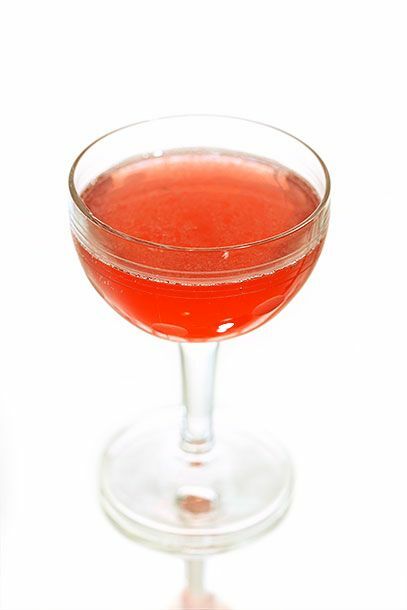 Get out your atomizer: The bartenders at the Sinclair finish this drink with two spritzes of super-smokey Laphroaig. 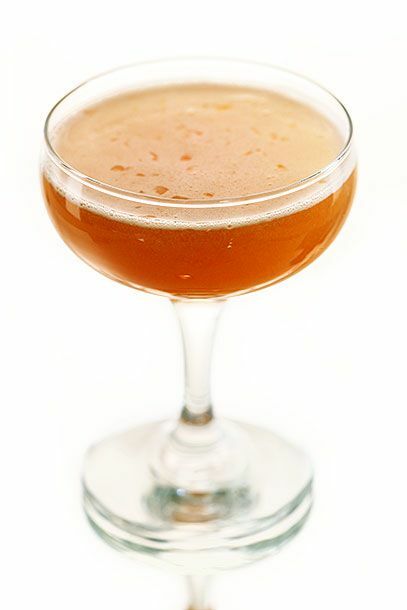 In a shaker, combine 2 ounces 100-proof rye (the Sinclair uses Rittenhouse), 1 ounce Punt e Mes, 1/2 ounce Luxardo sour-cherry syrup, 1/8 ounce lemon juice, and 2 dashes each Angostura bitters and orange bitters. 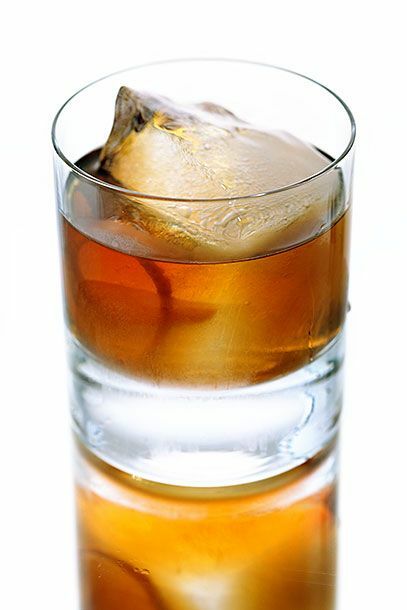 Shake with ice and strain into a rocks glass filled with 1 large ice cube. Finish with 2 spritzes of Laphroaig (you could also just float a little on top for a similar effect). Townhouse has a reputation for its whiskey collection, but they passed along this refreshing gin creation, which is great for day drinking: In a shaker, muddle 4 slices of cucumber, 6 basil leaves, and 1 ounce lemon juice. Add 2 ounces dry gin, 3/4 ounce simple syrup, and 1 egg white. Shake without ice until egg emulsifies. Add ice and shake again. Pour into a mason jar and top off with a splash of ginger beer. Garnish with cucumber slices. 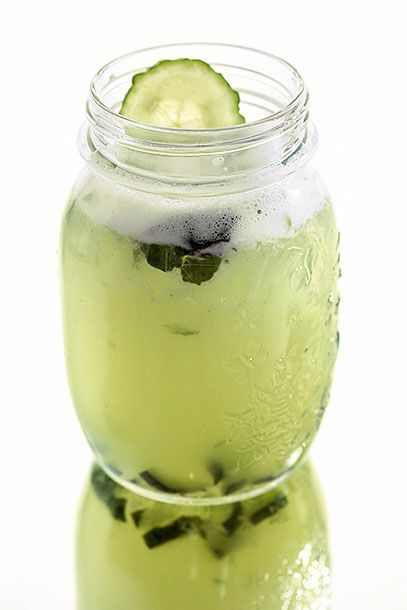 The south is synonymous with whiskey, but you'll definitely want to track down the local honeysuckle vodka and make the cucumber syrup — steep cucumber in your simple syrup when you make it — for this light drink: In a shaker, muddle the cucumber-infused simple syrup and 4 or 5 leaves of basil. Add 2 ounces Cathead honeysuckle vodka and 1/2 ounce lime juice. Shake with ice and double strain through a sieve into a rocks glass filled with crushed ice. Garnish with a lime wheel and basil leaf. Manifesto owner Ryan Maybee uses smoke-infused bourbon in this cocktail — check out the video primer on that technique here (or just use un-smoked bourbon if you'd like): In a mixing glass combine 2 ounces Applewood-smoked bourbon (preferably Four Roses), 1 bar spoon Grade B maple syrup, 3 dashes Peychaud's bitters, and 1 bar spoon Cynar. 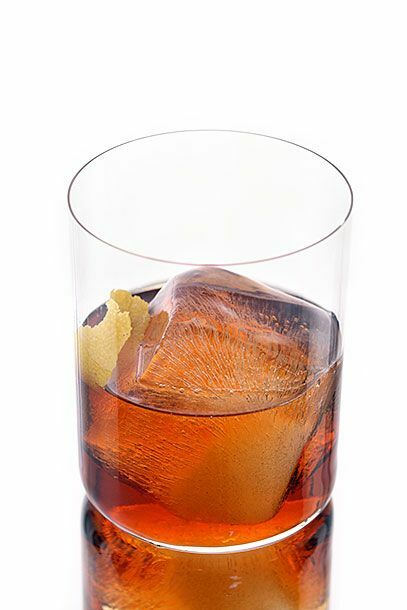 Strain into an old-fashioned glass filled with one large ice cube. Garnish with an orange twist. The family-owned distillery uses its own spirits in this drink served at its tasting room: Strip the bottom leaves off a 3 or 4-inch sprig of rosemary. 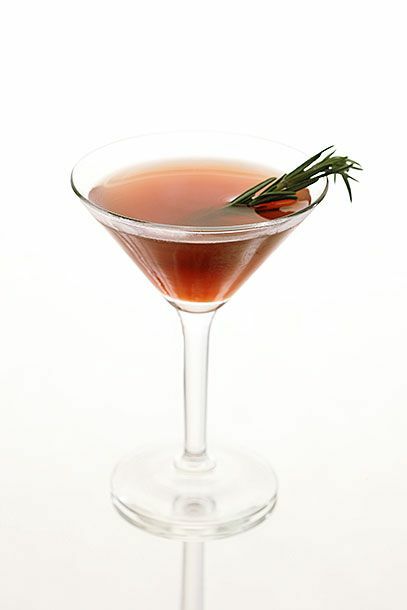 Reserve remaining rosemary spear and add the stripped leaves to a shaker and add 3/4 ounce lemon juice. Muddle. 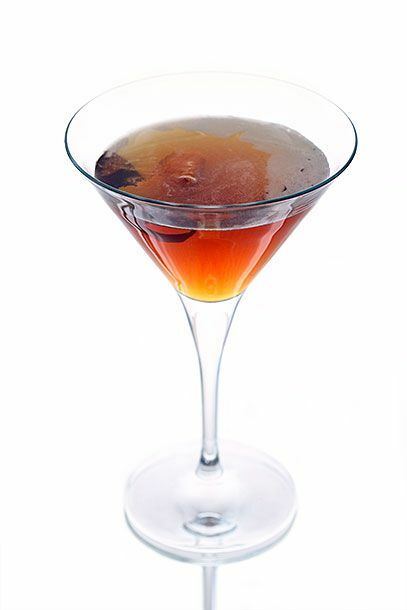 Add 1 1/2 ounce vodka, 3/4 ounce simple syrup made with honey, and fresh pepper with four turns of a pepper mill. Shake well with ice and strain into a large coupe glass. Add a splash of club soda and garnish with the reserved rosemary spear and more pepper if desired. The bar at Nebraska's most celebrate restaurantuses house-made orange bitters, but store-bought will suffice. You will want to make your own cardamom syrup, though: In a shaker combine 1 ounce each lime juice and cardamom syrup, 2 ounces Boomsma Oude Genever gin, 10 drops bergamot essential oil, and 3 dashes orange bitters. Shake hard without ice until oil combines with other ingredients. Add the ice and shake again until cold. 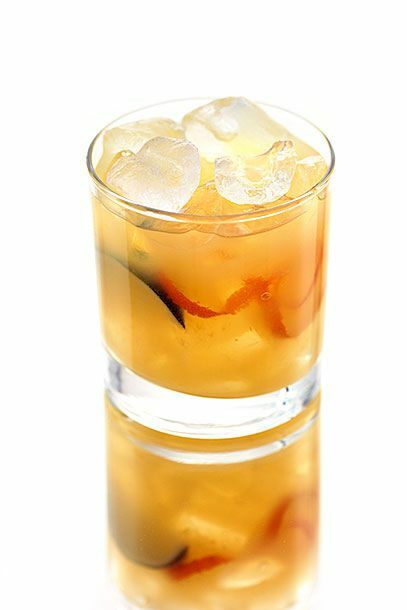 Double strain through a mesh sieve into a chilled coupe glass and garnish with an orange twist. 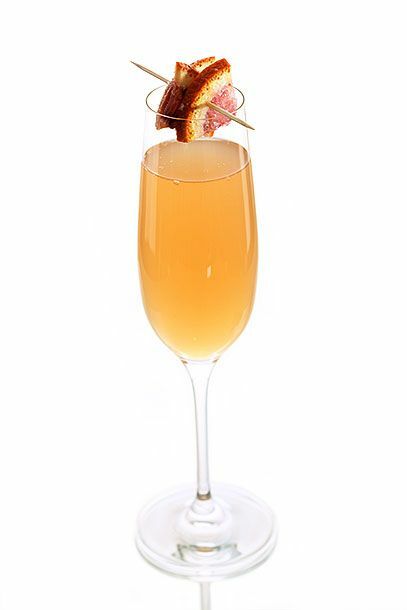 This simple Vegas drink combines the perfect desert spirit, tequila, with casino-appropriate bubbly: In a flute, combine 1 ounce reposado tequila and 1/2 ounce grapefruit syrup. Top with chilled prosecco and, if desired, garnish with candied grapefruit segments. The name should tell you all you need to know about the base spirits in this drink: In a shaker, combine 1 ounce apple brandy (Moxy uses local Flag Hill Josiah Bartlett brandy), 1/2 ounce Calvados, 1/2 ounce Cointreau, 1/4 ounce pomegranate syrup (good store-bought grenadine can be substituted), 1/4 ounce lemon juice, and 3 dashes bitters (Moxy uses locally made pear-bourbon bitters). Shake with ice and strain into a chilled Collins glass filled with fresh ice. Top with hard cider (Farnum Hill, if you can get it) and garnish with a sprig of mint. The ambitious restaurant has an intricate drinks program, as evidenced in this precise drink: In a shaker combine 1 1/2 ounce dry gin (Elements uses Barr Hill), 3/4 ounces Caledonia elderberry cordial, 3/4 ounce lemon juice, 1/2 ounce Bénédictine, 1/2 ounce honey syrup (get the recipe here), and 2 dashes Urban Moonshine Original bitters. Shake with ice and double strain through a sieve into a chilled cocktail glass. Garnish with a lemon twist. 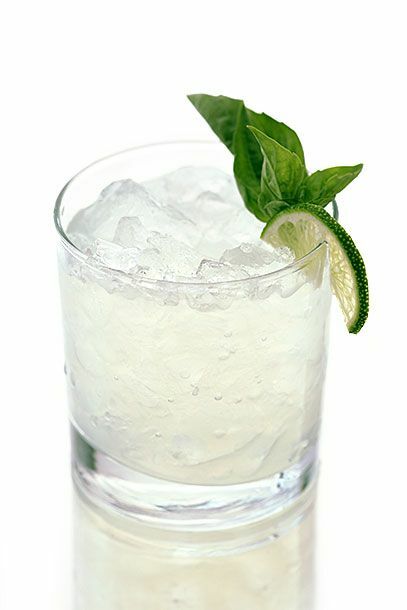 Hatch chiles add local flavor to this classic margarita: In a cocktail shaker, combine 2 ounces tequila, 1 1/2 ounces lime juice, 1 ounce simple syrup, and 1/2 ounce green chile juice. 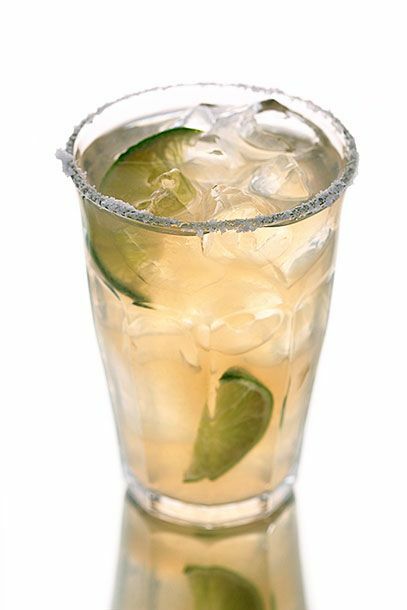 Shake with ice and strain into a margarita glass rimmed with lime juice and salt. Garnish with a lime wedge. 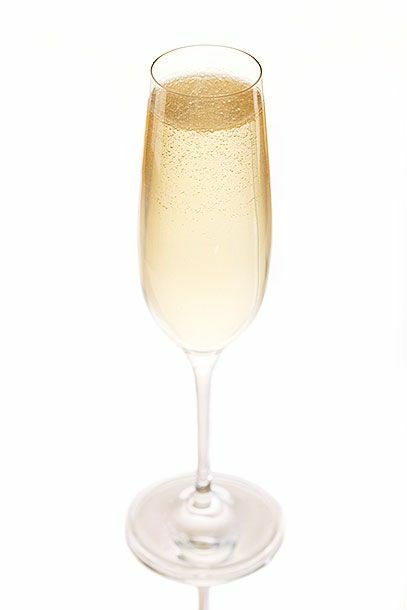 Bartender Tiffany Short's Champagne drink, a riff on a French 75, is one of the lightest drinks in Manhattan — great when the weather gets warm: In a shaker, combine 2 ounces vodka (Short uses Russian Standard), and 3/4 ounce each lemon juice and white-wine aromatic syrup (get the recipe here). 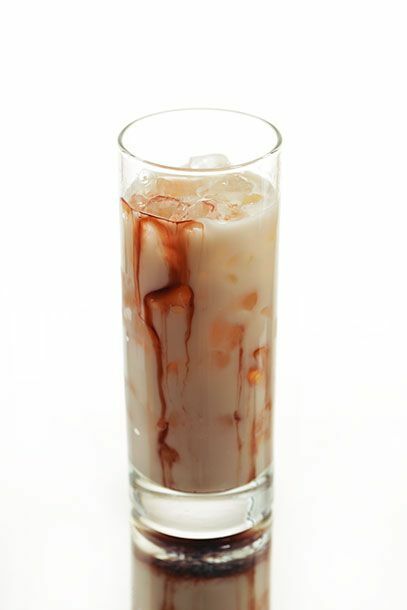 Shake with ice and strain into a chilled flute. Top with Champagne. 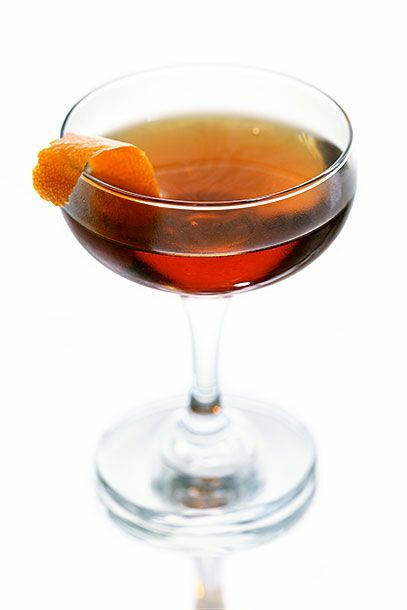 This Manhattan riff, which uses plenty of Spansih ingredients, is a best-seller at the Southern-style tapas bar in Durham: In a cocktail shaker, combine 1 1/2 ounce high-proof rye (Mateo uses Redemption), 1/2 ounce Amontillado sherry, 1/2 ounce Spanish sweet vermouth (Mateo uses Primitivo Quiles), 1/2 ounce saffron-infused simple syrup, and 3 drops Bittermens orange cream citrate. Shake with ice and strain into a chilled martini glass. Garnish with a flamed orange peel. This drink, which combines St. Germain and ginger-flavored Domaine de Canton, also has an unusual garnish: Two hazelnuts. 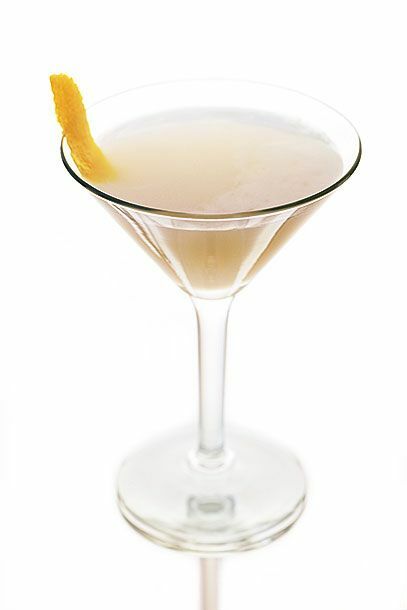 In a shaker, combine 1 ounce Canton ginger liqueur, 1 ounce St. Germain, and 1 ounce gin (the bar uses Hendrick's). Add fresh mint leaves and lemon juice to taste. Shake with ice and strain into a rocks glass filled with fresh ice. Garnish with a lime wedge and two hazelnuts. 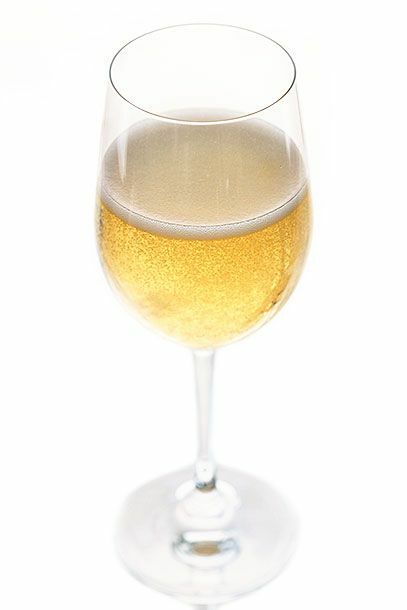 Mouton serves this sparkling drinks — cloudy from a locally produced lemon liqueur—pre-bottled, but it's easy to approximate as a fresh-made drink: In a shaker combine 1 ounce vodka (Mouton uses OYO, 1/2 ounce St. Germain, and 1 ounce Tessora Crema al Limone. 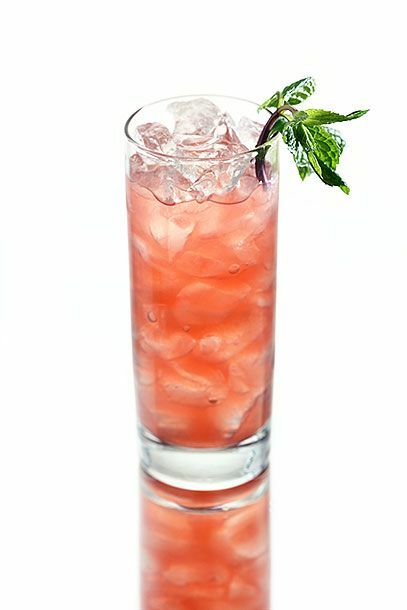 Shake with ice and strain into a Collins glass filled with fresh ice. Top with 1 1/2 ounces soda water. 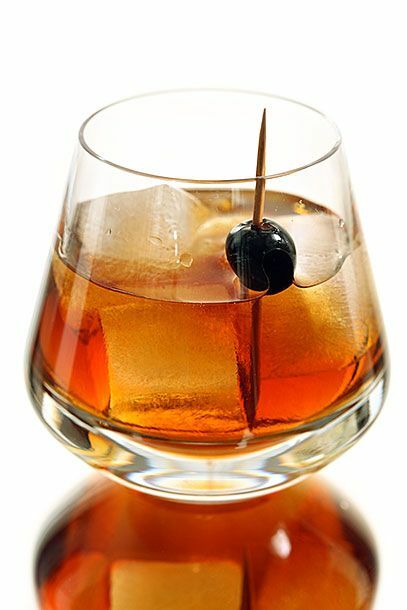 The best cocktail bar in Oklahoma makes this version of a Manhattan with clear whiskey: In a mixing glass combine 1 1/2 ounce clear whiskey (Valkyrie uses Low Gap), 1 ounce Lillet Blanc, 1/2 ounce Cointreau, and 1 dash clove bitters (or Bitter Truth's Jerry Thomas's Own Decanter Bitters). Stir with ice for 25 seconds and strain into a chilled coupe glass. 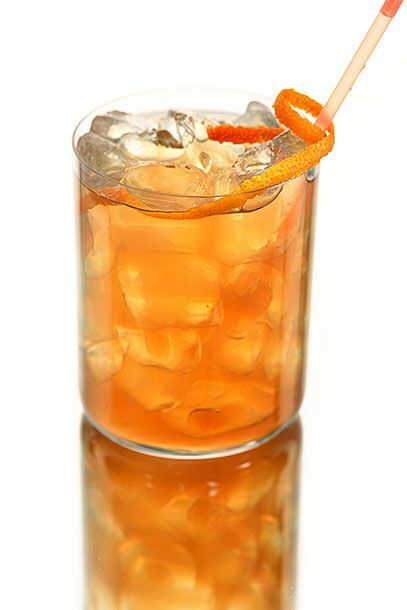 Garnish with a large orange twist. The Portland Penny Diner focuses on soda-fountain-inspired drinks, hence the use of acid phosphate, a traditional tang-booster in soft drinks: In a mixing glass, combine 1 1/2 ounces brandy (the bar uses Germain-Robin brandy), 3/4 ounce Calisaya liqueur, and 2 dashes each acid phosphate and orange bitters. Stir with ice and strain into a chilled coupe glass. Garnish with an orange twist. It's just three simple ingredients, but each packs a wallop and creates a totally unique end result: Fill a mixing glass with ice. 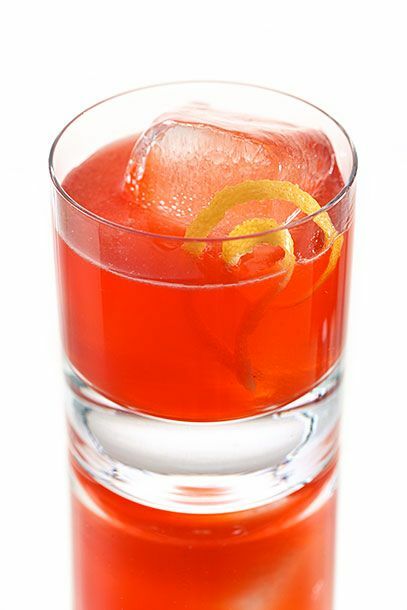 Slowly stir in 2 ounces 100-proof rye (Hop Sing uses Rittenhouse), 1/2 ounce Campari, and 1/2 ounce Aquavit. Strain into a chilled coupe glass. Twist an orange peel over the glass and rub it on the glass's rim. Garnish with an additional fresh orange peel. HUM liqueur, the brainchild of Chicago bartender Adam Seger, gives this drink its herbal notes: In a shaker, combine 1 1/2 ounces vodka (The Eddy uses Loyal 9), 3/4 ounces HUM, 3/4 ounces lemon juice, 1/4 ounce simple syrup, and 2 dashes Teapot bitters. Shake with ice and strain into a chilled coupe glass. 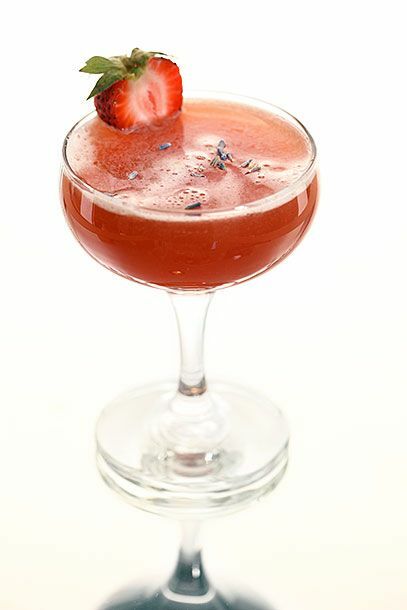 Yuzu brightens this duel-whiskey cocktail from Joe Raya: Muddle 1 large strawberry in a shaker. 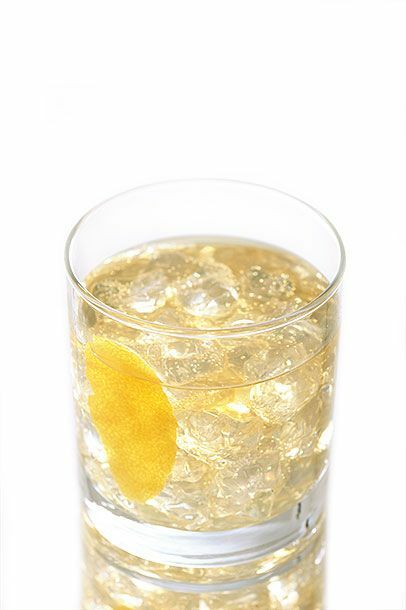 Add 1/4 ounce yuzu juice, 1/2 ounce lemon juice, 3/4 ounce simple syrup made with honey, 1 ounce 100-proof rye (the Gin Joint uses Rittenhouse), 1 ounce Japanese whiskey (Yamazaki), and a pinch of lavender. Shake with ice and double strain through a sieve into a rocks glass with one large chunk of ice. Garnish with a lemon twist. 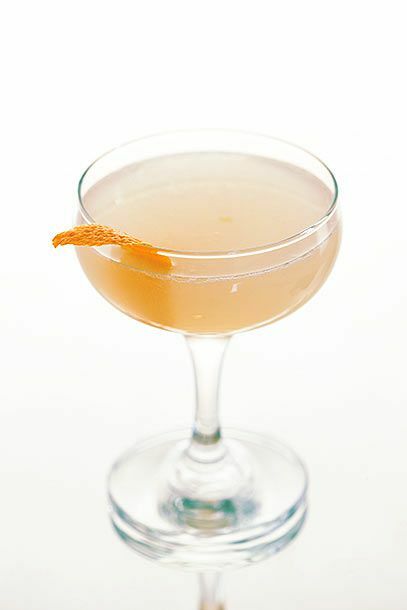 There aren't a lot of bartenders that would abide the use of peach vodka, but it does lend a subtle note to this straightforward sour: In a lowball glass, combine 3/4 ounces lemon juice and 1/2 ounce simple syrup. Fill glass with ice and top with 1 ounce each peach vodka (Crawford's uses Absolut) and Disaronno. 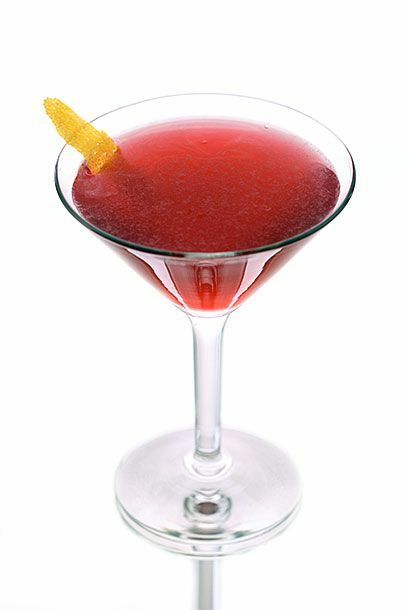 Stir gently and garnish with a lemon twist and a brandied cherry. All of the fresh ingredients brighten up this bourbon drink. As with the swizzle from Florida, steep slices of fresh ginger in simple syrup while it's warming to make the required ginger syrup: In a shaker, combine 1 1/2 ounce bourbon (Alchemy uses its own bottling of W.L. 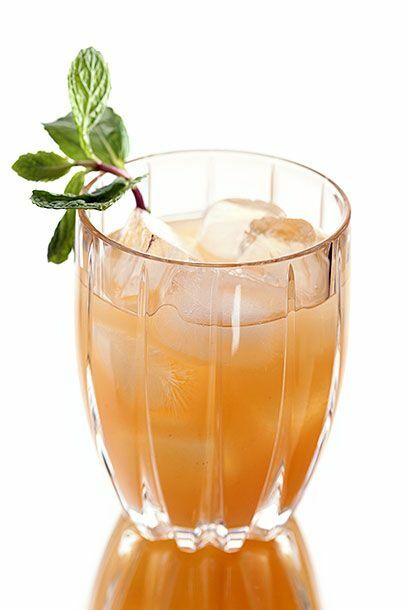 Weller), 1 ounce peach puree, 3/4 ounces ginger syrup, 1/4 ounce lemon juice, and 3 sprigs of mint. Shake with ice and strain into a rocks glass filled with fresh ice. 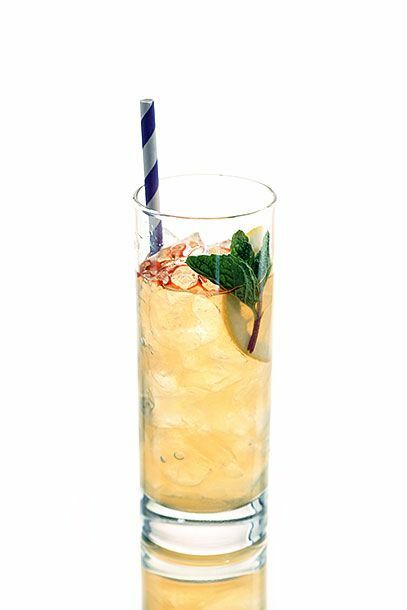 Garnish with a fresh sprig of mint. 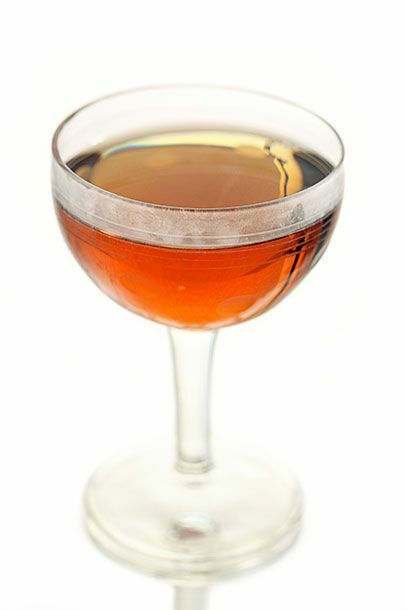 Bill Norris created this simple, very strong drink that would go quite well with some Texas barbecue: In a mixing glass combine 1 1/2 ounce good Scotch (Norris uses 12-year-old Highland Park), 1 ounce Bodegas Gongura Duque de Carmona sherry, 1/2 ounce Bénédictine, and 3 dashes Bad Dog Barcraft Sarsparilla Dry bitters. Stir with ice and strain into a chilled coupe glass. Flame an orange peel over the drink. Discard the peel and serve. 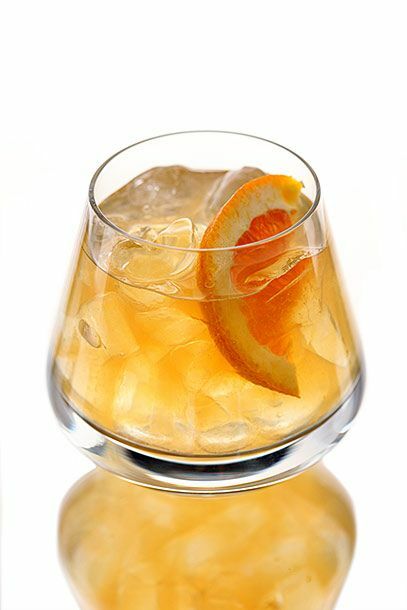 Two unique ingredients — cinnamon and fresh marmalade — add depth to this vermouth-and-whiskey drink. 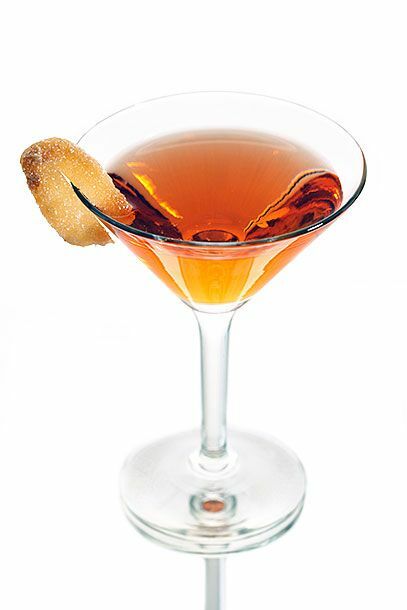 To recreate it, steep a cinnamon stick in your simple syrup while it's being heated: In a shaker combine 1 1/4 ounce rye (Bulleit), 2 bar spoons of orange marmalade, and 1/2 ounce each sweet and dry vermouth. Use a bar spoon to mix the marmalade and alcohol. Add 1/2 ounce cinnamon-infused simple syrup and a dash of Angostura bitters. Shake with ice and strain into a chilled coupe glass. Crop uses local cider, bitters, and spiced rum in this simple drink. 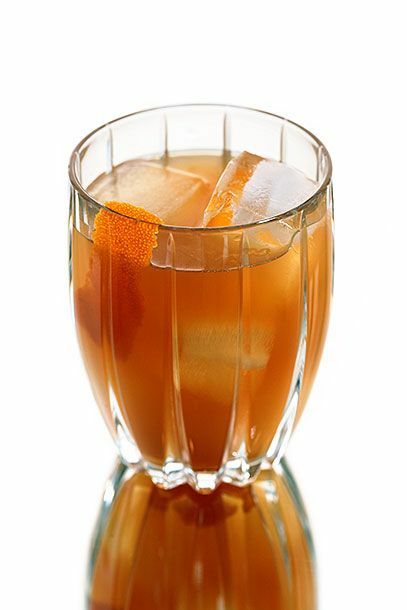 You can substitute the cider and bitters, but you'll want to track down the rum: In a shaker, combine 1 1/2 ounces Dunc's Mill spiced maple rum, 2 ounces apple cider, 1/2 ounce Domaine de Canton ginger liqueur, and a dash of Urban Moonshine citrus bitters. Shake with ice and strain into a rocks glass filled with fresh ice. Garnish with an orange twist. Even in Virginia, the "Brooklyn" brand has cachet. The drink, full of bitters, two kinds of amari, gin, and whiskey, is for serious drinkers: In a mixing glass, combine 14 drops Bittermens Elemakule Tiki bitters, 1/2 ounce simple syrup made with Demerara sugar, 1/4 ounce Cynar, 1/2 Ramazotti Amaro, 1 ounce dry gin (Heritage uses Bluecoat), and 1 ounce Irish whiskey (Heritage uses Jameson). 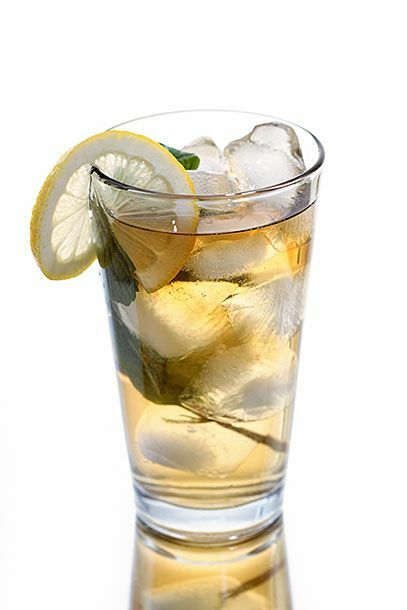 Stir with ice and strain into a rocks glass filled with fresh ice. Garnish with a brandied cherry. You're going to have to carbonate this wine-based drink. Vessel uses a Perlini System, but you can also use a SodaStream: In a carbonating system bottle, combine 1/2 ounce single-malt Scotch (Vessel uses Ardberg 10-year), 1/2 ounce Salers aperitif, 5 dashes orange bitters, 1 dash simple syrup, and 2.5 ounces cold Chardonnay (Vessel uses Sean Minor). Carbonate with your system and strain into a chilled wine glass. Garnish with an orange twist if desired. 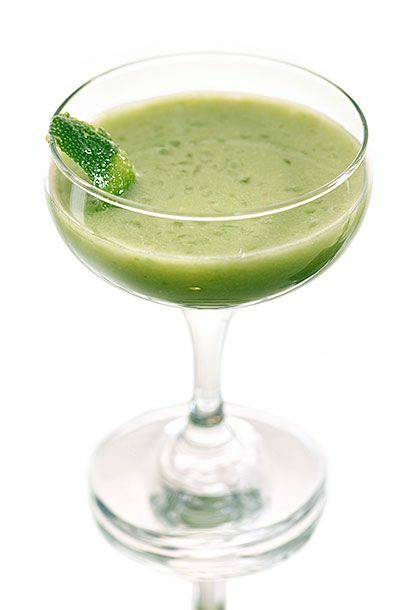 This has to be the only avocado cocktail we've ever seen: In a shaker, combine 1 1/2 ounces aquavit, 1 ounce lime juice, 2 spoons of ripe avocado flesh, 1/2 ounce simple syrup, and 2 dashes celery bitters. Shake with ice and double strain through a sieve into a chilled martini glass. Garnish with a lime peel or wedge. 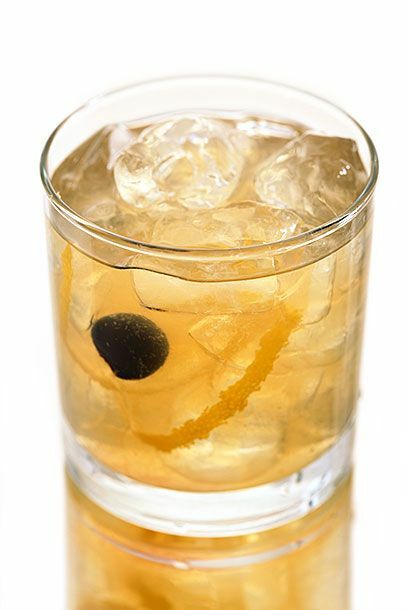 A locally made, oak-barrel-aged gin gives this drink its smokey flavor: In a rocks glass combine 2 ounces Smooth Ambler barrel aged-gin and 3/4 ounce tonic syrup (Bluegrass Kitchen uses Jack Rudy Small Batch Tonic to make theirs). Add ice and top off with soda water. If you'd like, add a splash of Campari. Garnish with a lime. 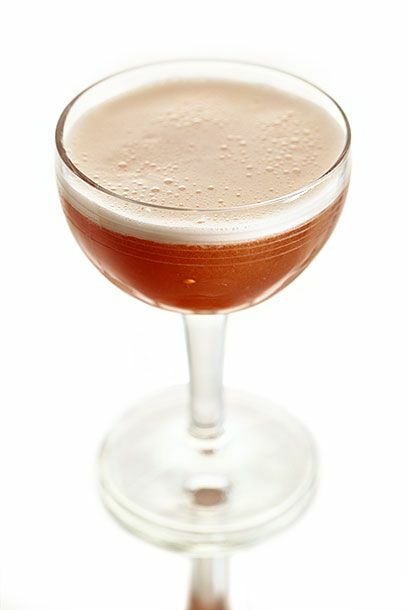 This drink calls for a very specific whiskey, but feel free to substitute bourbon: In a shaker, combine 2 ounces whiskey (Distil uses Kinnickinic whiskey from Great Lakes Distillery), 1 ounce simple syrup made with ale instead of water (Distil uses beer from New Glarus's Wisconsin Belgian Red ale), 1 ounce lemon juice, and 1 egg white. Shake without ice until egg emulsifies. Add ice and shake again. Strain into a chilled coupe glass. If you'd like, add a couple drops of bitters to the drink's froth and use a toothpick to swirl them slightly. Michael Mina's new Jackson Hole cocktail bar tops this Japanese whiskey hot toddy with Scotch-infused whipped cream: In a mug, combine 1 1/2 ounces the Hakushu 12-year Japanese whiskey, 1/4 ounce maple syrup, and 4 ounces hot orange jasmine tea. Top with freshly whipped cream that has been spiked with Scotch (the Handle Bar uses the strongly flavored Laphroaig). Serve while still warm.